« Forget the Lockout! Enjoy Some of our Colts Cheerleaders! The player some feel is the best in the game had neck surgery this past Monday in Chicago to repair a disk problem. Colts QB Peyton Manning had his second neck surgery since February 2010 earlier in the week. He had a prior surgery to repair a pinched nerve, and this operation was less invasive and less complicated, team owner Jim Irsay said Tuesday at the NFL meetings. “He had a bulging disk,” Irsay said of the NFL’s only four-time league MVP. “The doctors removed a part of it. The surgery was performed at Chicago’s Northwestern Memorial Hospital and Manning was back at home Tuesday. Even though the NFL has locked out its players, communication between teams and players in these cases is allowed. So Manning was able to contact the team and its doctors before heading to Chicago for the operation. Irsay, of course, has a special interest in Manning, who has started 227 consecutive games including the playoffs, second only to Brett Favre’s(notes) 321. 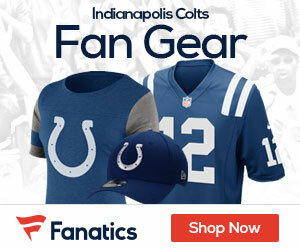 His contract is up, but there is little chance Irsay will allow the 35-year-old Manning to become a free agent once a labor agreement is reached. “He has a great chance to play five years,” Irsay said. “He’s such a tough guy, takes care of himself and really, really works hard. This won’t affect his long-term career.